Saika Enterprise : 10-14 Chevy Equinox Black powder Coated Steel Single Tube Rear Bumper Guard [V-GM320B] - Contact for Price! 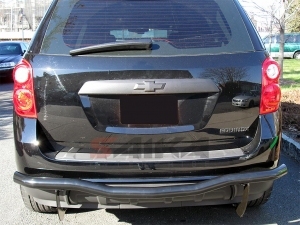 10-14 Chevy Equinox Black powder Coated Steel Single Tube Rear Bumper Guard Contact for Price! Black Powder Coated Steel for good resistance against rust and corrosion. Treated to a matte clean look effect. 3 years or 36,000 miles warranty against rust, corrosion or metal failure through Naxos®.